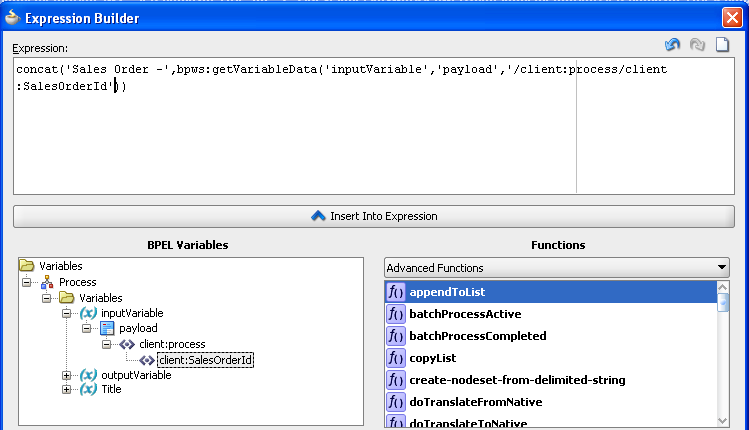 It is good practice to name composite instance. If you name your composite instance the you can uniquely identify the instance. Suppose you are receiving Sales Order from ERP system and each Sales Order has unique id so if we assign that Sales Order unique id to composite name then we simple identify that which instance is processing which Sales Order. 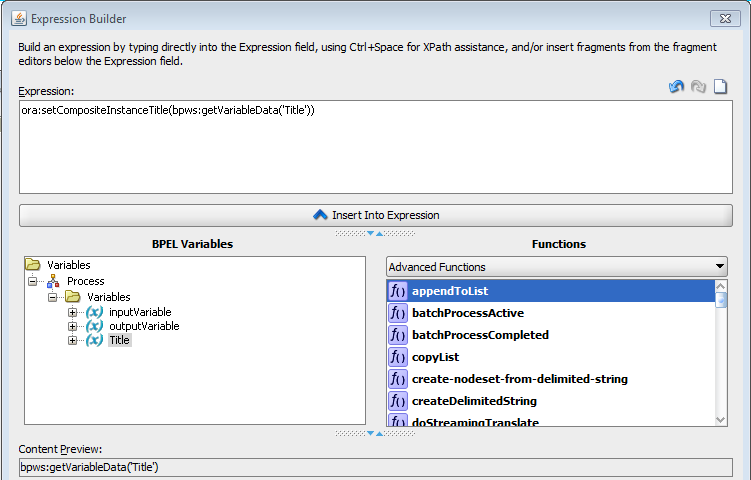 To give composite instance a name you simple need to add one java embedding activity inside BPEL and add one function inside that java embedding activity. Here are the standard steps that you can follow to name a composite instance. 1.) Create a string variable and name it "Title". 2.) Add assign activity after receive activity and assign name to Title variable. 3.) Add below function to set composite title inside Assign activity. Now deploy your project and you should be able to see name of each instance.